The 2013 release of the debut EP of the student percussion ensemble Banda Westfalica from the German city of Bünde, North-Rhine-Westphalia, was an unusual release for Man Recordings. Here were some musicians that would play tropical music exclusively acoustically, focussing on unearthing the rhythmic and melodic structure of originally electronically produced songs from the Man Recordings catalogue which originally would tear clubs apart. Banda Westfalica layed bare the soul of tracks such as “Carimbo” or “Tulum” by Schlachthofbronx, “K Le Pasa” by El Dusty, “El Toro” by Beware + Motorpitch, “Hands Up” by Daniel Haaksman or “Cartagenera” by Dutch Rhythm Combo. The versions on Banda Westfalica´s EP displayed a musicality that was buried deep inside those club bangers – and surprised many. “Versions Remixes” now brings the acoustic versions back to the club. Teased with the rhythm tracks and dope stems of Banda Westfalica´s 2m-sized Marimba, we asked a handful of hot and upcoming remixers such as Castro, Criolina, Chong-X, Danilo, Alma Negra, Doblhoff & Wiesflecker, Motin and Johnny 500 (a.k.a. Gijs Scheeringa) to re-work the Banda Westfalica versions. The results are stunning, from zouk bass (Danilo) to trap (Johnny 500) to Afro beat inspirations (Doblhoff & Wiessflecker, Alma Negra) to tropical bass (Motin) to finally electronica tuned vibes (Castro UK and Criolina) there´s a vast sonic range in the set of remixes. Many of the remixers are new names on the block, but all proved their skills masterfully. 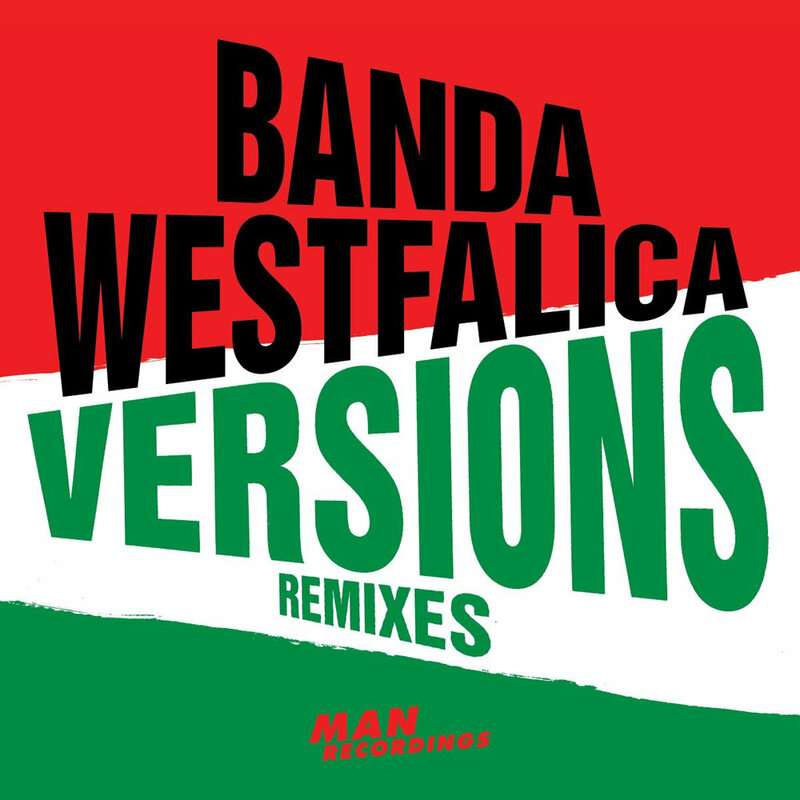 So here´s Banda Westfalica´s “Versions Remixes”.